Maximize the storage capacity of your Dell PowerVault or Dell PowerEdge system. The Dell THGNN is a 4TB SATA 7,200 RPM 3.5″ hard drive with tray. All Dell hard drives sold by SPS Pros are previously used, fully tested, and backed by a 60 day warranty against defects. Same day, expedited, and international shipping available! If you don’t see the part listed that you’re looking for, please use our Contact Us form; as we have many parts in inventory that are not listed. The Dell THGNN 4TB 7.2k SATA HDD is also known by part numbers 9ZM170-036, ST4000NM0033, 0THGNN, and others listed below. Enterprise SATA 3.5″ MTBF, like THGNN / 0THGNN at 1.4 million hours versus consumer 3.5″ SATA at 550K hours MTBF. 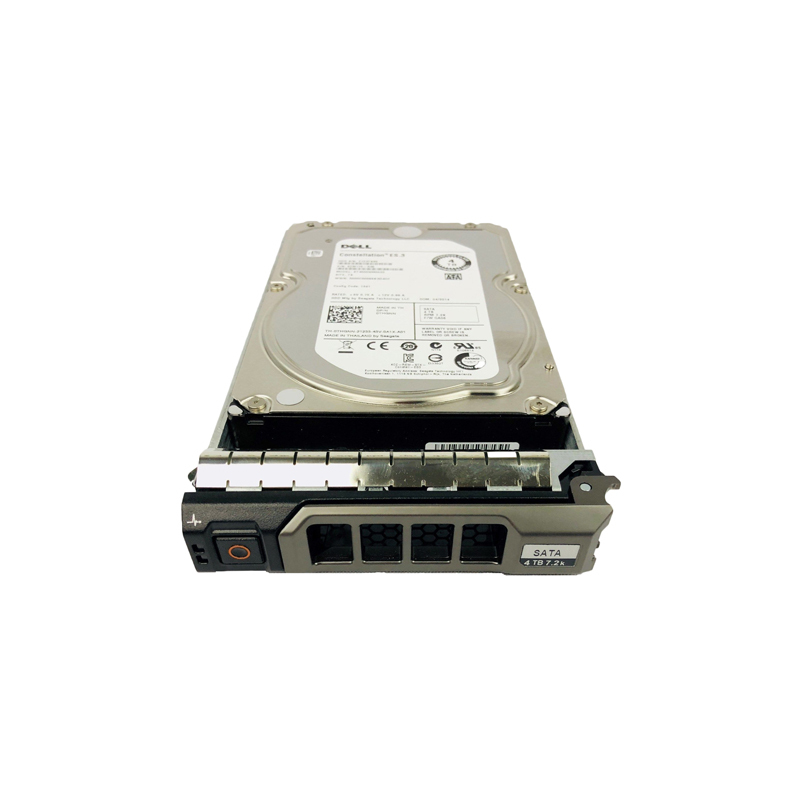 Dell’s enterprise SATA solutions for PowerEdge servers and PowerVault enclosures, is a SATA interface for hard drives featuring specific design and manufacturing processes enabling 24x7x365 operations and 1.4 million hours MTBF within an enterprise environment. Nearline SAS — Combines the head, media and rotational speed of traditional enterprise-class SATA drives with the fully capable SAS interface typical of 10K/15K rpm SAS drives. These drives are rated at 1.4 million hours MTBF. Enterprise SATA — True enterprise-class specifications, rated at 1.4 million hours MTBF, these drives provide the traditional SATA interface, but with capabilities far exceeding consumer grade SATA drives. Dell PowerEdge T-Series T20, T100, T105, T110 (Gen I,II), T300, T310, T320, T330, T410, T420, T430, T605, T610, T620, T630, T710 Servers, Dell PowerEdge R-Series R210 (Gen I, II), R220, R230, R300, R310, R320, R330, R410, R415, R420, R430, R510, R520, R530, R530XD, R630, R710, R715, R720, R720XD, R730XD, R730, R900, R905, R920, R930, Dell PowerEdge C-Series C1100, C2100, C6100, C6220 Servers, Dell PowerEdge M-Series M420, M510, M520, M610x, M630, M710HD, M830, M915 Blade Servers, Dell PowerVault M-Series M1000e, MD1120, MD1200, MD1220, MD3000i, MD3060e, MD3200, MD3200i, MD3220, MD3220i, MD3400, MD3420, MD3460, MD3600f, MD3600i, MD3620f, MD3660f, MD3800f, MD3800i, MD3820f, MD3820i MD3860i Storage Arrays, Dell PowerVault N-Series NF600, NX300, NX400, NX3000, NX3100, NX3200, NX3300 Network Attached Storage.